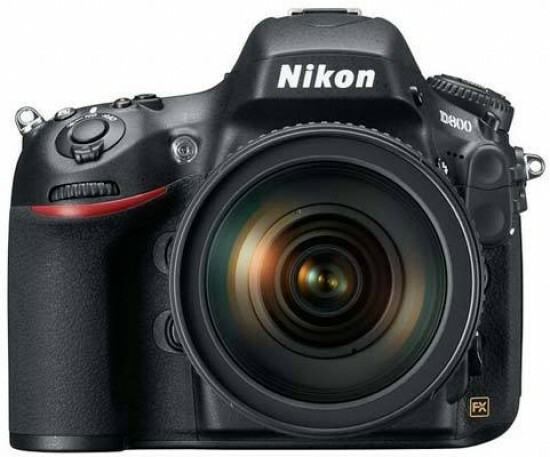 The Nikon D700 has been a hot seller ever since it was introduced back in the summer of 2008. It had a great sensor, a robust but relatively lightweight body and a comprehensive feature set, and was sold at a price that many thought was reasonable for all the goodness it offered. Yet after 3.5 years it was admittedly a bit long in the tooth, and by not offering a higher-resolution successor at an affordable price, Nikon was increasingly at risk of losing its full-frame user base, particularly as rivals Sony and Canon have been marketing competitive 20+ megapixel cameras for quite a long time. With the introduction of the 36-megapixel D800, Nikon is obviously targeting users who have been looking at high-resolution alternatives to their aging D700s, as well as users of other brands who might feel the extra resolution and compelling feature set may be worth the trouble to switch - or switch back - to Nikon. On the resolution front, the Nikon D800 delivers images with a truly stunning amount of detail, comparable to what you can achieve with a number of medium-format digital cameras and backs. The 7360×4912-pixel photographs print to 24”x16” (60×40cm) size at industry-standard 300ppi with no interpolation required, which also means they are ideal for double-page spreads in a large-format 12”x12” photo book. Additionally, they offer a lot of leeway for cropping. The extremely high levels of detail captured also means the files respond very well to noise reduction, often allowing you to walk away with a sharper and more detailed final image than if you had used a cleaner but lower-resolution photograph to begin with. Raw dynamic range, tonality etc. are also excellent; just what you'd expect from a top-of-the-line camera in 2012. In actual use, the Nikon D800 is a fantastic tool that seldom disappoints - the biggest quibbles you are likely to have with it, especially if coming from a D700, D300 or D300S, concern interface changes such as the swapping of the zoom buttons, the disappearance of the physical AF Area selector or the repositioning of the Mode button. Otherwise the Nikon D800 is a highly dependable and capable camera that offers a versatile and improved auto focus system, an enhanced viewfinder with 100% frame coverage and a very good movie mode. The maximum frame rate of 4fps in FX mode might seem a tad low but if you remember that we're talking about images that compare favourably to medium-format cameras that shoot at 1-1.5fps at most, you'll probably agree that it's actually a very high shooting speed for a camera that specialises in resolution, first and foremost. At £2499.00 / $2,999.95, the Nikon D800 is not a cheap camera - especially in the UK where it costs £500 more than the Nikon D700 did at launch - but is still quite a bit cheaper than its most obvious competitor the Canon EOS 5D Mark III.